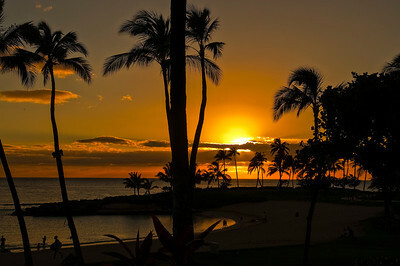 Oahu is the 3rd largest of the Hawaiian Islands and is known as "The Gathering Place." It is a beautiful island with a variety of sites to see and places to visit. Three male Hawaiian dancers getting ready for the start of their dance performance in Oahu. 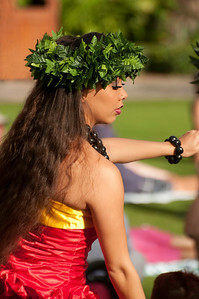 Hawaiian profile of beautiful girl dancer. 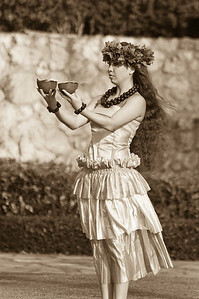 Holding the fire in the coconuts while performing a traditional Hawaiian dance. Two male Hawaiian dancers performing with fire torches and conch shells. 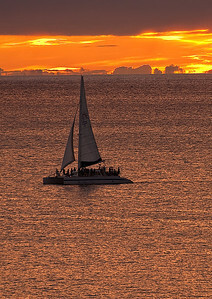 Sailing off Oahu into the sunset. Beautiful orange sunset off of Oahu. 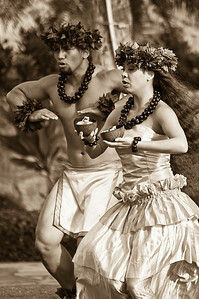 Hawaiian performers doing a ceremonial dance. Holding fire in the coconuts - sepia color.